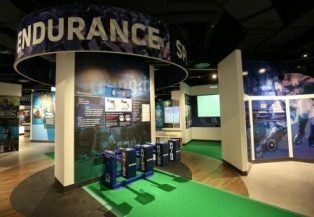 You are here: Home>Blog>The World Rugby Museum is back! The World Rugby Museum at Twickenham Stadium has moved to a new home in the South Stand and was officially opened on Thursday 1st February. The World Rugby Museum is the definitive home for everything and anything about rugby. Featuring more than three times as many objects, the new museum displays memorabilia from around the world and from all eras. 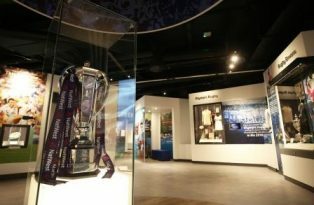 “The new museum is bigger, better, brighter and more interactive than before and it’s fantastic to open the museum to the public ahead of the annual 6 Nations tournament” said Museum curator, Phil McGowan. 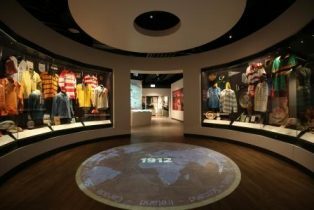 The museum began life as the ‘Museum of Rugby’ in 1996 before rebranding as the ‘World Rugby Museum’ in 2008.